This week, Oshkosh’s first official pop-up concept opened its doors. I am so proud of the organization for its hard work and dedication to the project; moreover, I applaud its leadership for their willingness to embrace such a social innovation project. 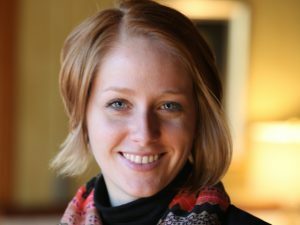 While the pop-up concept certainly is not new in other parts of the country, or the world for that matter, it has never before been attempted in the Oshkosh community. 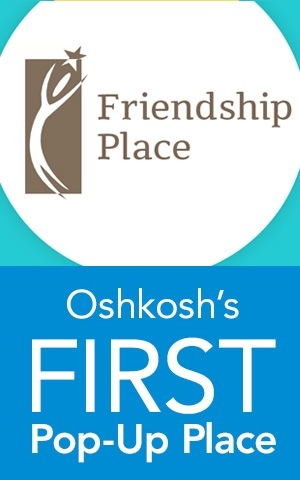 Friendship Place’s leadership came to Blue Door Consulting about opening a new mental health outreach center in Oshkosh. They believed there was (and is) a need but wanted to confirm if the market could support it and, equally important, if the community would support it. Our team knows market research, but our guts steered us in a different direction. Instead of collecting theoretical information and making assumptions, what if we could spend the same amount of money collecting real information to make data-based decisions? Projects like ours are created to work within a finite amount of time (three months in our case), and often on a limited budget. The goal is to be flexible and iterative. In other words: Try something, evaluate, try something else. We want to learn fast and test ideas to see what will make the biggest impact. In the end we’ll all work together to collect what we’ve learned, look at the data, make educated decisions and design a service with a big impact on individuals and the community. As mentioned, pop-up and prototyping concepts aren’t new. Concepts like these are proven research and development methods used by entrepreneurs, non-profits and design firms alike. Check out one of my favorite concepting projects by design firm IDEO to build a scalable water and hygiene business, a project which is now open for business.